Priceless Farms utilizes the best possible organic and sustainable practices to ensure its products are clean, safe, and incredibly healthy to eat and use. Currently we have two primary crops which we have strong market demand for. These two are provided in detail bellow, while the remaining list of organic products will fetch local markets with restaurants and hotels and be consumed within the farm via Eco-tourism and staff. Moringa – Powder, Oil, Seeds, Seedlings, Fertilizer. The Moringa tree is a potent healer. With markets hungry for the powder for food supplements, and for the oil as an additive to cosmetics, we are currently establishing 30 acres per year to expand our Moringa crops to a targeted 600 acres by the end of 2017. 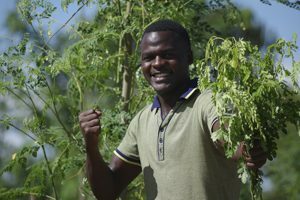 Considered one of the most resilient crops in the world the Moringa tree can survive extreme drought, and has no known pest or diseases which can threaten an entire crop. 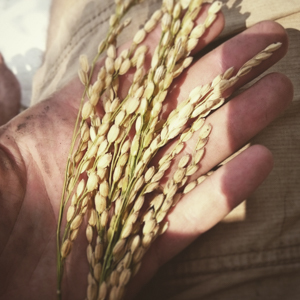 With harvests taking place 5 times per year, the crop enables a stable income to any would be farmer who chooses to grow this very dynamic crop. Birds Eye Chillies – Seriously hot dried chillies + Seeds. 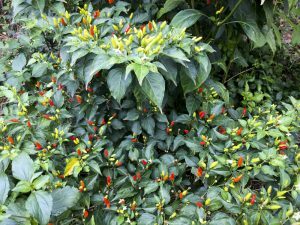 The African Birds Eye Chillies are considered one of the hottest. Their tiny size and rich flavor add to the incredible attributes the plant itself has which enables its survival in even extreme dry weather. This crop is so resilient to pest and mold it requires no pesticides or fungicides to produce. Similar to Moringa, the plant produces abundant yields for a continuous cycle of 5 years prior to needing to be replanted. With a standing demand of 100 tones of dried chillies annually, we look forward to becoming one of Uganda’s top providers of this unique chilly to international markets as we continue to intercrop the plant in abundance throughout our forests and homelands. 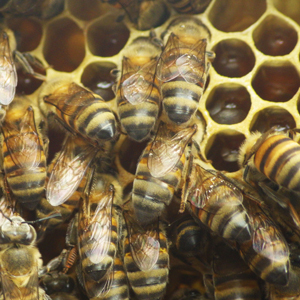 In partnership with Malaika Honey our farm actively provides new apiaries throughout its lands to enable the uptake of local bee colonies, many of which are fleeing from rapid deforestation in the region from charcoal production. In this safe haven we have built for them the bees produce a number of high value products but are also highly valued for their ability to continually impact crop production by up to 30% higher yields from their pollen collection activity throughout the landscape. Our honey is truly organic and delicious, sourced from our wide range of fruit and medicine trees, crops, and local herbs and shrubs creating a unique and sweet flavor rich with Moringa and Tamarind pollen from our seed producing trees. Our remote location and proximity to one of Uganda’s largest lakes makes our location ideal for what we feel could likely bee one of the best honeys on earth. Most of our staple foods are produced by our Shamba system which spreads the animals and plants out within our contract farmers who personally hold a small lease of no more than 2 acres within our farmland. On these sites they live in comfortable huts with their families and undertake ongoing training and knowledge sharing to support each other in the production of various crops for local markets. Fish – CatFish, Talpia, Nile Perch. Goats – High Breed Mix, Meat and Milk production. Eggs – Organic Moringa fed chickens, ducks, Guinea Fowl, Quails.